Explore the array of powder coat colors and stainless finishes available for Viewrail Posts and Handrail to inspire your artistic vision. We do our best to accurately convey the powder coat color options on our website, however, colors often look different in various lighting conditions and are unique on each digital display. 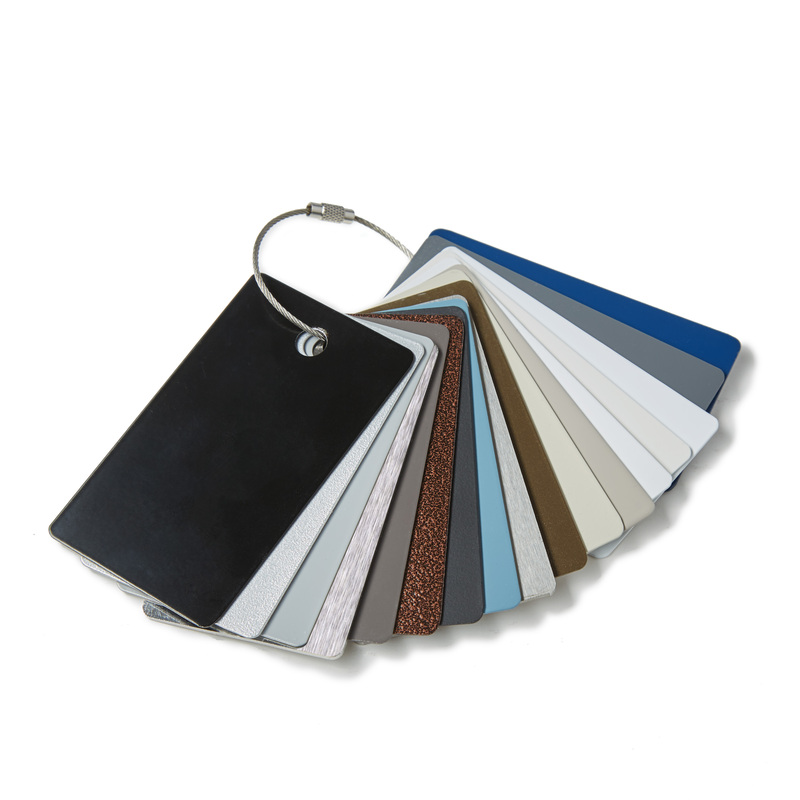 Because of this, we suggest ordering multiple samples from our sales team to ensure your favorite Viewrail Powder Coat color matches your expectations. Powder Coat samples are made of aluminum by default with the exception of the Brushed Stainless option. what is the delivery lead time for powder coated posts? Henry, thanks for your question. Typically powder coated posts will ship in 7 days after the order is placed. Shipping times will vary depending on the options you choose and your location. There is an expedited option which will ship in 5 days from the time the order is placed. If you have any other questions give us a call at (866) 226 6536. Hi, on the image displayed, there are color options that are not available when I try to purchase a sample on the finish. I liked the silver spark and the colonial gray. Are those no longer available? Thanks for your help. Thanks for the question Christina. We have discontinued several of the colors that are still in the picture. The dropdown list on the right are the currently available colors.